Have any of you ever hosted or booked through Airbnb? Well recently, there was a study done by Harvard University that concluded it was harder for guests with African-American sounding names to rent rooms through the site. I found an article from the New York Times on September 6th, 2016 that discusses how Airbnb lets the rental host see the the potential renter’s age, gender, and race, which can lead to discrimination. In addition, many users of Airbnb have stepped up and filed lawsuits against the platform for discrimination. Many feels as though their race has prevented them from being able to equally book through the site. The question is if it is Airbnb’s direct responsibility to further establish booking equality. Airbnb’s reaction to the outcries was to require rental hosts to agree to a “community commitment” starting on Nov. 1 and to new anti-discriminatory rules. The CEO, Brian Chesky, has admitted they have been slow in addressing these problems, but this is no excuse. Also, they are aiming at reducing the prominence of user photographs, in addition to hiring anti-discriminatory organizations to find better solutions. They believe this will promote anti-discrimination. Airbnb is also trying to increase the popularity of instant booking so the host won’t be able to see the potential renter before the deal is sealed. The hard part about this issue is there is no one answer, whether it be a policy change or modification, that has the power to totally eliminate bias and discrimination on the site. 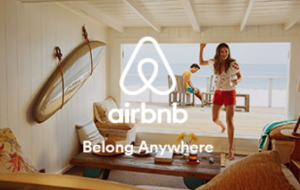 Kristen Clarke, the president of the Lawyers’ Committee for Civil Rights Under Law, an organization that advised Airbnb on best anti-discrimination practices, said that “photos are an invitation to discriminate”. Do you agree with her statement? It is Airbnb’s social responsibility to be more anonymous?